Photoshop software is mostly opted by designers to design web layouts or digital designs world widely. It is frequently used to edit the image, video, and give a stunning effect. Web designers use Photoshop to come up with striking websites. It is one of the best commercial tools for designers & many designers still consider as the best tool for designing. 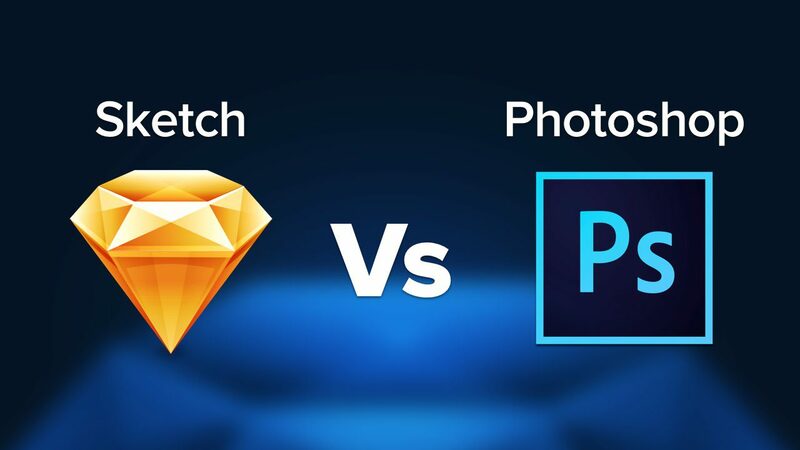 On the other hand, when we compare Sketch Vs Photoshop, Sketch is one of the popular digital design tools today used to design the best user interface. It helps designers to organize the documents in a perfect way to produce a clean interface. With the development of Sketch, the use of Photoshop has been reduced by people as Sketch provides enough tools and plugins to get the work done. HTMLPanda is a brand name in website designing to make your website more attractive and appealing. Our services such as PSD to HTML, Sketch to HTML are trusted by many global clients and leading businesses. Photoshop allows you to draw a figure and you can do anything you want. 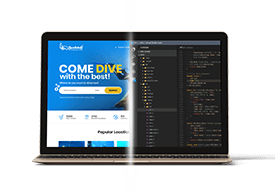 On the other hand, Sketch allows you to work on desktop and mobile versions simultaneously with the use of craft plugin and it is interactive. If you are a designer you are probably using a Mac anyway and Sketch supports Mac OS. Photoshop is a raster-based program while Sketch is a vector-based design program. Since Sketch is more lightweight on features, everything fits on the right. One can’t beat the look of vector formatting and with more screens at higher resolutions all the time. When we talk about Sketch Vs Photoshop, vector designs in Sketch are sharper, cleaner, and look better. Symbols are, basically, a group of objects, sort of like smart objects in Photoshop. Both the tools are quite similar, but Sketch lets you swap an entire icon set or state at a time. And, a large number of icons and divots can be important to help in to design the project. In Sketch, you can override symbol and object styles. In Photoshop, a smart object has a universal property. Yes, Sketch is easier and faster to export. It saves your time as you can simply drag artboards to your desktop and save them and it is easy to specify the resolutions with Sketch. With Photoshop, now has a “quick export to png” option when you right-click on items it’s just a little faster and better implemented in Sketch. Sketch is lightweight to run, it also creates much smaller files. Therefore, its really fast and allows you to have many artboards on screen and quickly move things between them. Photoshop is big and powerful, but that pushes out to file size. Photoshop can be slow, so you need a lot of RAM, processing power and fast storage if you want to open many artboards simultaneously. The sketch is a big deal when you want to create something that will load lightning fast. Sketch has a lot of plugins, that allows users to automatically populate text fields in order to make your workflows seamless in Sketch. There is an extensive range of plugins databases and most of them are free. Most plugins are geared towards simplifying workflow and performing certain actions faster. On the other hand, Photoshop also has a range of plugins to choose from. They are not as focused on UX/UI design because it’s a photo editing tool. So, Sketch is the new hip thing with new plugins and sites dedicated to it are popping up everywhere. Shared styles in Sketch work a lot like CSS stylesheets. When you add a text box and you are working from a template, Sketch automatically adds a style to it. It is also easy to create and define new styles. This saves your most of the time and effectively eliminates style inconsistencies between revisions. 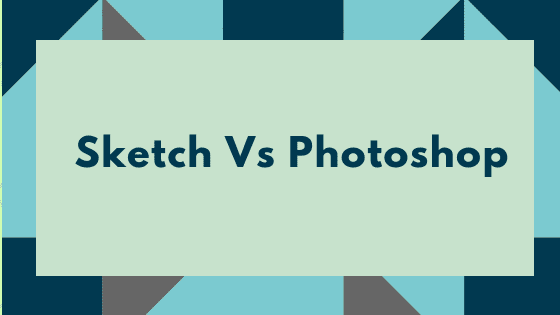 When we talk about Sketch Vs Photoshop, there is no doubt that Photoshop is a powerful design tool. But, nowadays, more designers are looking to build digital products in native environments which could be simply achieved with Sketch. That is why Sketch has become a preferred option to choose. The sketch is faster and feels a lot more like an actual UI design tool than Photoshop, you will be able to build things much more quickly.